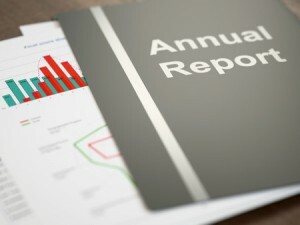 Annual Reports for your Florida corporation or limited liability company (LLC) are due to the Florida Department of State on or before May 1, 2016. After that date, a late fee of $400.00 applies to all filings and cannot be waived. Annual Reports must be filed with the Florida Department of State Division of Corporations every year to ensure continued active registration of your Florida company. Failure to file the required Report will result in dissolution of your company. The business law attorneys at Minott Gore P.A. can assist with your Annual Report filing. We offer flat fee legal services at affordable rates for our attorneys to prepare the Annual Report, plus the applicable Florida Department of State filing fee ($138.75 for LLCs, $150 for profit corporations and $61.25 for non-profit corporations). Please contact us if you need assistance and we will be happy to guide you on next steps. Fees must be paid before we file the Annual Report. Don’t miss this important deadline, otherwise your company may be dissolved and you will have to refile to register your company in good standing again.